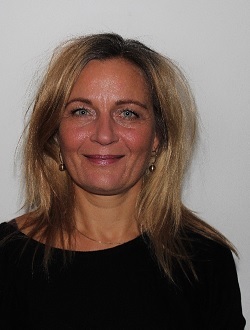 Anabella is currently the head of Biotherapeutics and Medicinal Sciences at Biogen, Cambridge, Massachusetts. 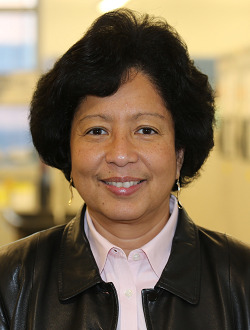 Prior to joining Biogen, Anabella was at Pfizer for 28 years where she was Vice-President of Medicinal Synthesis Technologies and Neuroscience Medicinal Chemistry. Anabella obtained her B.S. in Chemistry at the University of Panama and her Ph.D. in Medicinal Chemistry at the University of Kansas where she was a Fulbright-Hayes fellow. She was a National Institutes of Health Postdoctoral Fellow at Yale University in synthetic organic chemistry for 2 years. Among Anabella’s accomplishments are her contributions to the design and discovery of CP-118,954 (icopezil), an acetylcholinesterase inhibitor, which was advanced to Phase II clinical trials in Alzheimer’s disease. This candidate became part of the agreement that led to the successful co-promotion of Aricept by Pfizer and Eisai. Anabella has championed new scientific directions that have changed design practices in medicinal chemistry such as the Central Nervous System Multi-Parameter Optimization (CNS MPO) design tool. Under her leadership, medicinal chemistry teams have been able to sustain the delivery of quality clinical candidates that have shown increased survival to Proof of Concept (POC) studies in the clinic. Anabella has also had extensive experience in leading multi-disciplinary teams that have advanced candidates through pre-clinical development and into the clinic, including Phase I and II studies. Anabella is the author of multiple publications and patents. 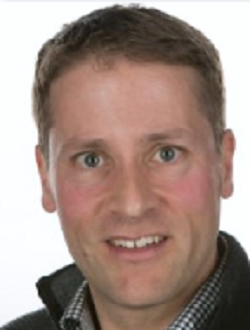 Andreas Brink works as a Principal Scientist/Laboratory Head within Pharmaceutical Sciences focused on Drug Metabolism and High Resolution Mass Spectrometry. After his studies of chemistry and biology he received his Ph.D. in 2007 in the field of genetic toxicology at the Department of Toxicology and Pharmacology of the University Würzburg. Since 10 years at F. Hoffmann-La Roche his responsibilities and interest developed into various aspects of drug metabolism throughout Drug Discovery and Development of different modalities (small molecules, peptides, oligonucleotides). The support of medicinal chemists to reduce the potential for reactive metabolite formation in lead optimization is one of his main tasks. Recently, his interest expanded to Mass Spectrometry Imaging and its application in pre-clinical research on drug toxicity, efficacy, metabolism and tissue distribution. Peter Dragovich received a B.S. in chemistry from UC Berkeley and subsequently obtained a Ph.D. in synthetic organic chemistry from Caltech under the direction of Professor Andrew Myers. He has worked in the pharmaceutical industry for more than 20 years in both large-pharma and biotech organizations and has performed a variety of research and management activities during that time. He joined Genentech in 2010 and has since worked on multiple projects in both the immunology and oncology therapeutic areas. He is currently a Staff Scientist in the Discovery Chemistry Department and leads the company’s efforts to identify novel payloads and linkers that can be utilized for the creation of new antibody-drug conjugates. 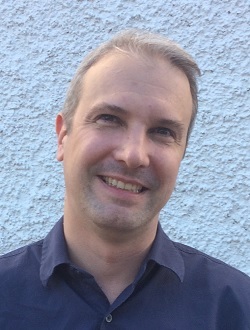 Martin Pettersson received his BS in chemistry from Indiana University, Bloomington, in 1998 where he did undergraduate research in the laboratory of Professor David R. Williams. He then joined Pfizer as a medicinal chemistry research associate and contributed to projects in therapeutic areas such as inflammation, allergy & respiratory, and antibacterials. In 2002, he began his graduate studies at the University of Texas at Austin under the guidance of Professor Stephen F. Martin. After receiving his Ph.D. in 2007, he joined Pfizer Worldwide Research and Development as a medicinal chemist, and he is currently an Associate Research Fellow in the Internal Medicine chemistry group in Cambridge, MA. 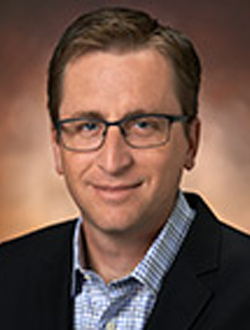 At Pfizer he has made significant contributions as a medicinal chemistry team leader for programs such as Gamma Secretase Modulators and Apolipoprotein E, and these efforts have led to a strong interest in property-based drug design. He is actively involved in the area of phenotypic drug discovery including phenotypic screening hit triage, safety strategies, and de-convolution of mechanisms of action. 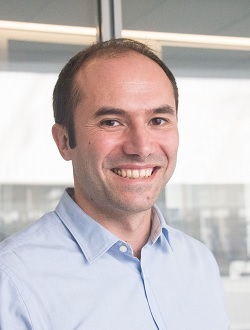 Martin’s research interests also include targeting RNA using small molecules, and he recently organized a symposium on this topic at the New York Academy of Sciences. 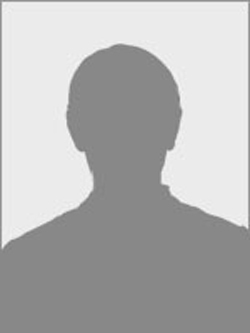 He is a co-author of 33 publications and patents/patent applications. 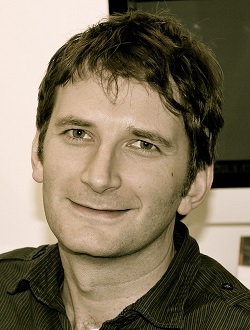 Douglas Thomson currently holds a position at Cellzome, A GSK Company in Heidelberg, Germany. He obtained his PhD in organic chemistry from the University of Strathclyde in Glasgow, UK and subsequently joined the High throughput Chemistry Department of BayerCropScience in Frankfurt, Germany as a PostDoc. Before joining Cellzome in 2011, Douglas was a medicinal chemist at the Institute of Cancer Research and Elara pharmaceuticals. At Cellzome, the focus of his research is on the utilization of mass spec driven proteomics to determine a molecules off-target profile in the context of preclinical toxicology assessments. Monika is working as project leader in Discovery Chemistry at Evotec (UK). She obtained her education at the Technische Universität Wien (TU Vienna) and her PhD from the University of Liverpool. 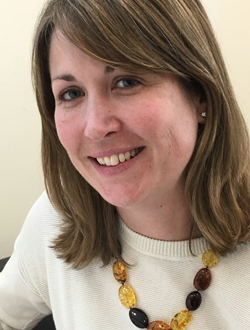 After joining Evotec in 2001, she has led medicinal chemistry teams on hit-to-lead, fragment-based and lead-optimization projects across a number of target classes and therapeutic areas. Her current research projects have a strong focus on phenotypic drug discovery and target deconvolution. 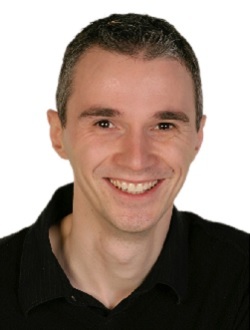 Dr. Koen Hekking is a group leader in the medicinal chemistry department at Mercachem (The Netherlands). 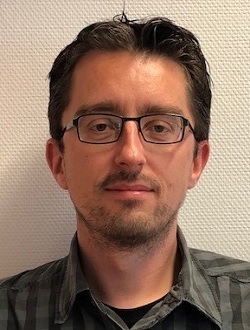 He obtained his PhD in natural product synthesis and catalysis at the Radboud University in Nijmegen under the supervision of Prof. Floris Rutjes. In 2006 he joined Mercachem as senior scientist, and has held a group leader position since 2008, supervising a variety of (medicinal) chemistry projects. For the past 3 years, he has been responsible for supervising Mercachem’s innovation projects. These projects involve development of novel peptidomimetic scaffolds, as well as early stage medicinal chemistry projects with an emphasis on protein-protein interactions and kinases. Dr. Eva Martin received a Doctorate in Organic Chemistry from the University of Salamanca in 2001. She acquired additional expertise in different synthetic methodologies with short-term assignments in the Organic Chemistry Department of the Universities of London, Warwick and Cologne. 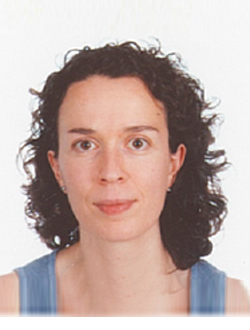 In May 2001 she joined Lilly Forschung in Hamburg as a medicinal chemist and in September 2002 she moved to Lilly Alcobendas in Spain. During her career Dr. Eva Martin has made important contributions to projects in oncology, cardiovascular and endocrine areas. With strong expertise in lead generation, her interests are fragment based drug design and the development and implementation of new technologies in drug discovery with the aim to deliver faster and better clinical candidates for the unmet medical needs. 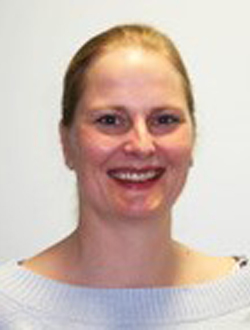 Dr. Sanne Schrøder Glad is a principal scientist and project manager in Nuevolution and was part of the first pioneering team developing the Chemetics technology. She has been deeply involved in designing the libraries and building the compound collection at Nuevolution. Since 2010 she has been heading several lead discovery projects both in collaboration with big pharma companies and internal of which the RORγt program is the most progressed. Before joining Nuevolution, she was research scientist at Novozymes. She has a ph.d. in computational chemistry from University of Southern Denmark. 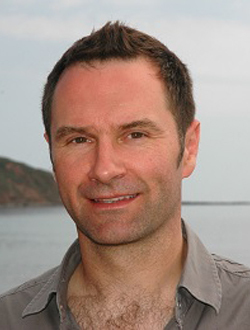 Thorsten Bach obtained his education at the University of Heidelberg and at the University of Southern California (USC). He received his Ph.D. in 1991 from the University of Marburg with M. T. Reetz and did post-doctoral work with D. A. Evans at Harvard University. He completed his Habilitation at the University of Münster in 1996, moved to the University of Marburg as an associate professor in 1997 and was appointed to the Chair of Organic Chemistry I at the Technische Universität München (TUM) in 2000. He is an elected member of the German Academy of Sciences (Leopoldina) and of the Bavarian Academy of Sciences. Peter O'Brien studied for a degree and PhD at the University of Cambridge, carrying out a PhD supervised by Stuart Warren. After the award of his PhD in 1995, he moved to the University of York as a Royal Commission for the Exhibition of 1851 Research Fellow. In March 1996, he was appointed as a lecturer in organic chemistry at the University of York and was promoted to Senior Lecturer (2002), Reader (2005) and Professor (2007). In recent years, he was awarded the Royal Society of Chemistry's Organic Stereochemistry Award (2013), a Vice-Chancellor’s Teaching Award (2014-15) and the AstraZeneca, GlaxoSmithKline, Pfizer & Syngenta prize for Process Chemistry Research (2017). He is currently Chairman of the Royal Society of Chemistry’s Heterocyclic and Synthesis Group. The O’Brien group’s research focuses on contemporary organic synthesis. Current research topics include the synthesis of nitrogen and oxygen heterocycles using organolithiums and the design, synthesis and biological screening of 3-D fragments. Niall received his masters degree in medicinal chemistry from the University of Strathclyde and subsequently joined GlaxoSmithKline’s Discovery Chemistry group in Stevenage, England in 2006. From there, Niall gained experience across multiple phases of drug discovery throughout GSK from hit identification to late stage lead optimisation. In 2014 Niall gained his PhD in a collaborative programme between GSK and the University of Strathclyde on a project entitled “The design, synthesis and optimisation v6 antagonists as potential idiopathic pulmonary fibrosis agents”. Currently Niall is working in the Protein Degradation Discovery Performance Unit where he is looking to utilise PROTAC technology to design medicines of the future. Dr. David Tellers received his PhD from Berkeley under the guidance of Professor Robert G. Bergman. 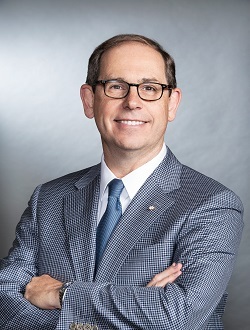 In 2001, he joined Merck working in both the Department of Chemical Engineering and Process Research where he focused on route development, catalysis, and automation. He made contributions to multiple programs, including Emend ™, Januvia ™, Cordaptive ™, and Vaniprevir ™. In 2008, he transferred to the Department of Medicinal Chemistry where he has had the opportunity to lead groups focused on oligonucleotide and peptide therapeutic development, early and late stage neuroscience and infectious disease programs, and chemical biology. He is a Director in the Discovery Chemistry Modalities Group and currently leads the recruiting efforts for Medicinal Chemistry. Eric Valeur obtained his PhD from the University of Edinburgh (Prof. Mark Bradley) and then joined the Northern Institute for Cancer Research in Newcastle working as Postdoctoral Fellow on inhibitors of MDM2-p53 in Prof. Roger Griffin’s group. Subsequently, he led medicinal chemistry teams first at Merck-Serono in Paris and then at Novartis in Basel. In particular, he was involved in the development of non-peptidic proteases inhibitors within the Expertise Protease Platform. In 2014, he joined AstraZeneca in Sweden, as Associate Director for New Modalities Medicinal Chemistry. His vision is to integrate chemical spaces, in essence leveraging the potential of each modality either separately or as hybrids. He also established and steers a unique approach to innovation consisting of a Satellite Unit based at the Max Planck Institute in Dortmund, Germany, with three AstraZeneca scientists being directly embedded within Prof. Herbert Waldmann’s research group. 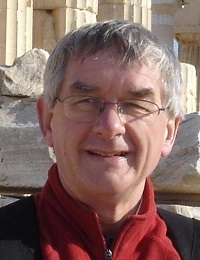 Professor Rod Hubbard has been an academic at York for over 35 years working with methods for analysis and exploitation of protein structure. He developed molecular graphics and modelling methods in the 1980s and helped build Structural Biology at York during the 1980s and 1990s. He worked on the structure of many proteins of therapeutic importance combined with studies of protein-ligand interactions and methods in structure-based design. In 1997, he was a founding SAB member of what became Vernalis. Since 2001 he has split his time between Vernalis (fragment and structure based drug discovery) and York (fragment methods for chemical biology and industrial biotechnology). In addition, he works with UK Research Councils and consults with pharmaceutical and technology companies around the world. Dr. Gonçalo Bernardes is a Group Leader at the Department of Chemistry, University of Cambridge, U.K.. He is also the Director of the Chemical Biology and Pharmaceutical Biotechnology Unit at the Instituto de Medicina Molecular, Portugal. After completing his D.Phil. degree in 2008 at the University of Oxford, U.K., he undertook postdoctoral work at the Max-Planck Institute of Colloids and Interfaces, Germany, and the ETH Zürich, Switzerland, and worked as a Group Leader at Alfama Lda in Portugal. He started his independent research career in 2013, and his research group interests focus on the development of site-selective chemical protein modification for basic biology and drug development. He is a Royal Society University Research Fellow and the awardee of a Starting Grant from the European Research Council (TagIt). Kai Johnsson is Director at the Max Planck Institute for Medical Research, Department of Chemical Biology since 2017. His current research interests focus on the development of chemical approaches to visualize and manipulate biochemical activities in living cells. His past achievements include the introduction of methods to specifically label proteins in living cells (i.e. SNAP-tag and CLIP-tag), the development of new fluorescent probes and sensors as well as the characterization of mechanism of actions of drugs and drug candidates. 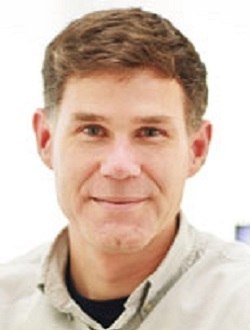 Kai Johnsson is Associate Editor of ACS Chemical Biology since 2005 and member of the Editorial Advisory Board of Science. He is co-founder of Covalys Biosciences, Spirochrome, Quartet Medicines and Lucentix. 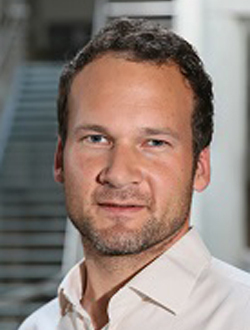 Nicolai Cramer obtained his PhD from the University of Stuttgart under the guidance of Sabine Laschat in 2005. 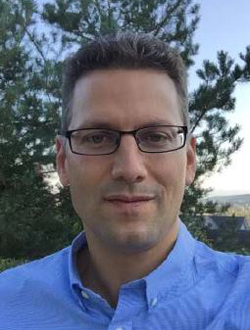 After postdoctoral studies with Barry Trost at Stanford as a Feodor-Lynen scholar, he started in 2007 his independent career as Habilitant associated to the chair of Erick Carreira at the ETH Zurich. 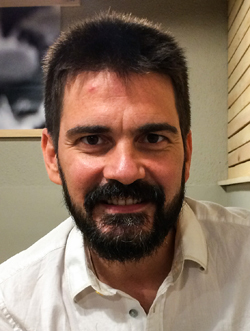 He received the venia legendi in 2010 and subsequently moved to EPFL as Assistant Professor. 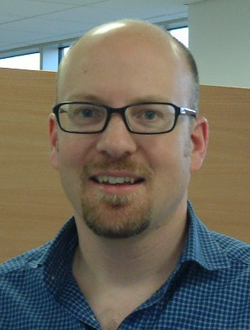 Nicolai was promoted to Associate Professor in 2013 and subsequently to Full Professor in 2015. His research interests encompass enantioselective metal-catalyzed transformations and their implementation for the synthesis of biologically active molecules. A key focus of his research is the development of asymmetric C-H bond functionalizations and the design of broadly useful chiral ligands. 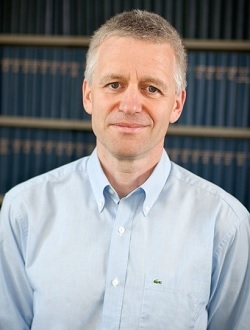 Darren J. Dixon is Professor of Chemistry at the University of Oxford. He obtained his BA, MA and D. Phil (supervised by Professor Stephen Davies) from the University of Oxford. After a postdoctoral appointment with Professor Steve Ley FRS he was appointed to the Staff of the Department of Chemistry, University of Cambridge in 2000. In 2004 he took a Senior Lectureship at The University of Manchester and was promoted to Reader in 2007. 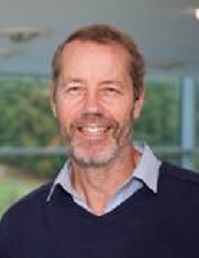 In 2008, he moved to his current position at Oxford where he is also the Knowles-Williams Tutorial Fellow in Organic Chemistry at Wadham College and the Director of the EPSRC Centre for Doctoral Training in Synthesis for Biology and Medicine. 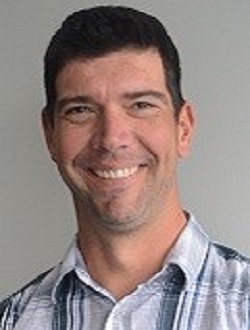 His research is centered on the development of new catalyst-enabled synthetic methodologies and their application to the synthesis of structurally complex scaffolds, natural products and molecules of biological significance. His honors include an EPSRC Leadership Fellowship, the RSC Catalysis in Organic Chemistry Award, the AstraZeneca Research Award and Novartis Chemistry Lectureship. 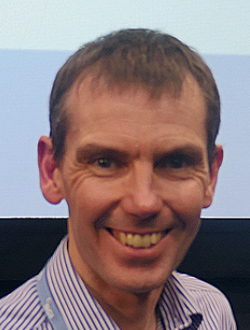 Matthew Gaunt graduated from the University of Birmingham with 1st Class Honours for Chemistry in 1995. He moved to the University of Cambridge to carry out his graduate studies as a Wellcome Trust Scholar with Dr. Jonathan B. Spencer, finishing in 1999. Following this he was awarded a prestigious GlaxoWellcome Postdoctoral Fellowship that he took to the University of Pennsylvania to work with Professor Amos B. Smith. He returned to the UK in 2001 to work with Professor Steven Ley as a Junior Research Fellow at Magdalene College, and was also awarded a Ramsay Memorial Fellowship. 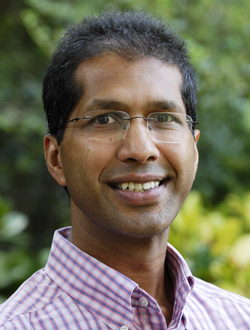 He began his independent research career in October 2003 at the University of Cambridge and was awarded a Royal Society University Research Fellow in October 2004. In October 2006 he was appointed Lecturer in Organic Chemistry, and a Philip & Patricia Brown Next Generation Fellow at the University of Cambridge. In October 2010 he was promoted to Reader in Chemical Synthesis. In October 2012 he was promoted to Professor. 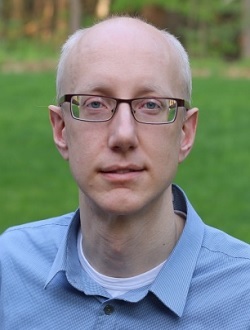 Matthew recently joined the Editorial Board of the RSC journal, Chemical Science, as Associate Editor and is a member of the Scientific Advisory Board of Advanced Synthesis and Catalysis. The Group's research interests are focused on the invention of catalytic strategies for chemical synthesis and the development of cascade processes for the rapid assembly of natural products. 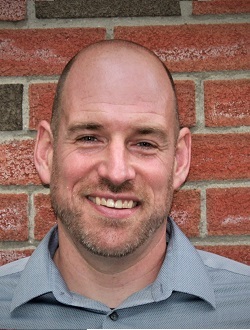 Mark Lautens attended the University of Guelph (B.Sc.) followed by his Ph.D. in 1985 with Barry M. Trost at the University of Wisconsin-Madison. He conducted postdoctoral studies with David A. Evans at Harvard University. He joined the faculty at the University of Toronto in 1987 and is currently University Professor, J.B. Jones Distinguished Professor and AstraZeneca Endowed Chair of Organic Synthesis. From 20013-2013 he was an NSERC/Merck Frosst Industrial Research Chair. Among his awards are the E.W.R. Steacie Fellowship, KIllam Fellowship, CIC Medal, A.P. Sloan Fellow, A.C. 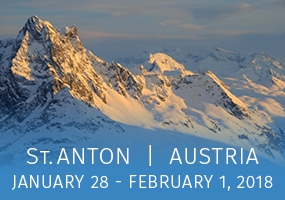 Cope Award, Fellowship in the Royal Society of Canada, Alexander von Humboldt Awardee and Pedler Award from the Royal Society of Chemistry (UK). IN 2016, was invested as Officer of the Order of Canada. His research areas are in discovery and applications of novel catalytic reactions and strategies for the synthesis of bioactive molecules of interest to the pharmaceutical industry. After completing his PhD in organic chemistry in 1980, Mike has worked in Pharma R&D initially as a medicinal chemist and then as a computational chemist. He joined Glaxo in 1986 and was responsible for helping initially build and then lead the computational chemistry department. More recently he led the biophysics and protein crystallography activities including developing fragments theory and practice in lead identification. His current role is in looking at new technologies to enhance our early drug discovery approaches, particularly to help reduce attrition in drug discovery. Current interests include new methods to better understanding target tractability and also drug distribution at cellular and subcellular resolution. He is committed to promoting scientific excellence and exchange of knowledge within and across the GSK R&D sites. Mike is a GSK Senior Fellow and an Adjunct Professor in the chemistry department at Imperial College London. Holger Monenschein received his PhD from the Technical University of Clausthal-Zellerfeld, Germany. Afterwards, he moved to San Diego to conduct post doctoral studies in the group of Prof. K.C. Nicolaou at The Scripps Research Institute, working on the total synthesis of complex natural products. Holger started his industry career at Amgen, Inc. as a medicinal chemist, and quickly became an integral part of the medicinal chemistry department, focusing mainly on diseases of the central nervous system such as Alzheimer's disease and pain. 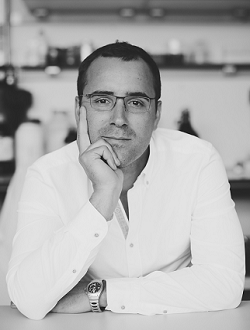 In 2010, Holger moved to Jupiter, Florida where he initiated medicinal chemistry research and discovery at the small biotech startup Envoy Therapeutics. At Envoy, Holger drove the internal drug discovery pipeline from early HTS to the identification of clinical candidates and managed a strong network of supporting CROs to deliver key project data in the fields of in vivo pharmacology, DMPK, and toxicology. 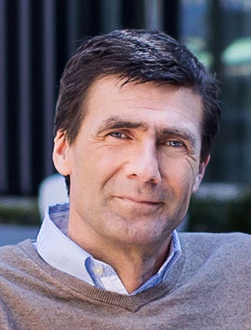 In 2013, Holger moved to Takeda California as part of Takeda's acquisition of Envoy. At Takeda he is now director of medicinal chemistry operations in the field of CNS and early target validation. Jean Quancard studied Chemistry at Ecole Normale Superieure in Paris and continued with a PhD in Chemical Biology at University of Pierre et Marie Curie. 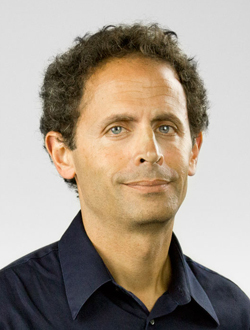 In 2004, he moved to Stanford University in the US for a Postdoc with Pr. Barry Trost. Jean joined Novartis in 2006 in the Global Discovery Chemistry Department and since then worked in several therapeutic areas such as autoimmunity, oncology, ophthalmology and neuroscience. He also spent a few years in the protease platform, the expertise group focused on the discovery of protease inhibitors. Currently, he is Director and Head of Chemistry for the Musculoskeletal disease area. Brian Raymer received his B.A. in chemistry from Saint Olaf College (Northfield, MN) where he did undergraduate research in the laboratory of Professor Robert Hanson. He then joined Pfizer as a process chemist, contributing to the Aricept®, Geodon® and Rimadyl® projects. He then moved to Harvard University (Cambridge, MA), completing his Ph.D. studies with Professor David Evans. Subsequently at Novartis, he worked as a medicinal chemist and chemical biologist focusing on low molecular weight, peptide and antibody-drug-conjugate programs in the cardiovascular, metabolic disease and oncology disease areas. Brian returned to Pfizer in 2013 and is currently serving as a Research Project Leader in the Internal Medicine Disease Area. He has contributed to two clinical candidates in the metabolic disease area, both reaching first-in-human studies and recently chaired the cross-site Pfizer Chemical Biology Network Group.